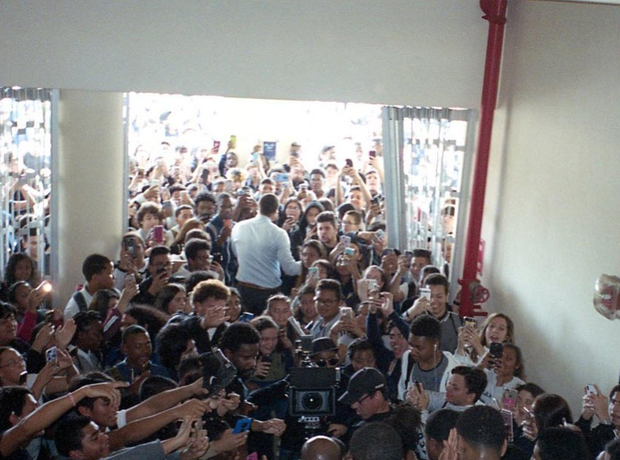 Part of the video was shot in Miami High School. 3. Part of the video was shot in Miami High School. He said: "I was supposed to stay on the field and they wanted all the students to stay behind a barricade...I kiboshed that idea within about 4 minutes and we made a MOVIE...congrats to the students on their new uniforms arriving shortly and on being so well behaved amidst all the chaos."